Is It Really Safe to Buy Diamonds Online? I get it. Entering your card number, sending away hundreds to thousands of dollars to the digital stream, and waiting for weeks for a diamond to arrive is scary. Especially a purchase that in itself holds a heavy symbol – an engagement ring! Young brands aspire to be trusted so they could develop a solid reputation, but the oldest ones in the game don’t have to depend on your faith that their products are real and will be delivered. With years of experience and stellar reviews, they have all the tools to assure you that IT IS TOTALLY SAFE TO BUY DIAMONDS ONLINE. Unlike traditional brick and mortar stores where shoppers simply trust the sales pitch and the brand, online retailers possess a double-edged sword. You may encounter scammers, but you can also research everything about them in a bat! Many of my readers write to me about their concerns on the safety of online diamond shopping. This is absolutely reasonable and justified. 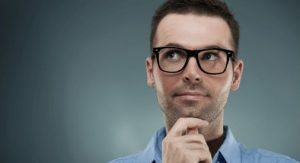 I created this post to address all these questions in a comprehensive guideline. Read on to know how and why it’s safe to buy diamonds online! 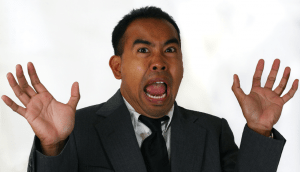 How Do You Know that the Online Vendor is NOT a Scammer? Spotting an unreliable diamond vendor is easy. First of all, they wouldn’t invest time and money in designing a captivating website. And for those who blind shoppers with their modern web layout, they wouldn’t be able to back it anyway. A legit online diamond vendor offers diamonds graded by the top gemological labs in the world – GIA and AGS. Listings come with the full details about the diamond including the certificate, ASET and Idealscope images, and most importantly, real-life diamond imagery. For the leading online diamond shops like James Allen, it’s not just any picture, but 40x magnified high definition 360° videos of all their diamonds! This way, you get to have a closer look at the diamonds than at a brick and mortar store where you would have a 10x magnification loupe at best. Plus, you have a much larger selection to choose from. 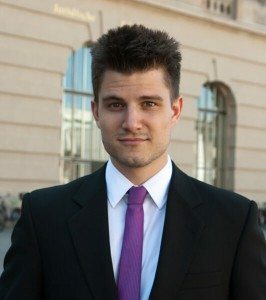 There’s a number of legit companies out there! Check each vendor’s credentials before considering to purchase. All the online shops reviewed on my website, for instance, are absolutely legit as I know from my own experience or from visitors of my site. Of course, there are differences in customer service, conditions of purchase, and overall shopping experience. This is why you should compare different websites to each other in advance. Can You Be Sure that the Diamond Will Arrive at Your Place? The diamond vendors I know send their packages in a way that doesn’t show the sender. It says nowhere on the box that a diamond vendor shipped your package. The same also applies to return shipping where you will be mailed a return label that doesn’t give away the receiver – the diamond vendor. Therefore, the likelihood of the diamond being stolen is as low as it is with any usual package. All vendors I am aware of require an adult to sign for the parcel. Naturally, all packages are sent with insurance that is already included in the price. At least this is the case with the online stores I have reviewed so far. So, it’s safe to say that sending the diamond via post doesn’t pose any financial threat. However, some vendors don’t offer free return shipping. Since the insured shipping can easily cost around $100 or more, depending on the value of the diamond, it is important to get acquainted with the online vendor’s return shipping conditions before ordering. Will You Receive the Exact Diamond You Have Chosen Online? I mentioned GIA and AGS earlier. Aside from being the two most reputable grading labs, they are also pretty reliable and consistent with their grading policy. This way, you can actually be sure that that the 4C parameters on the grading report are accurate. Every diamond that is graded by GIA or AGS has a unique signature number, and many of them are laser inscribed on the diamond’s girdle. These signature numbers are very tiny and can hardly be seen with your bare eyes. So, you would definitely need a loupe to make out the content of the inscription. If there’s no writing about the inscription on the grading report, it means that there is no inscription. I would recommend not to choose a diamond like that. 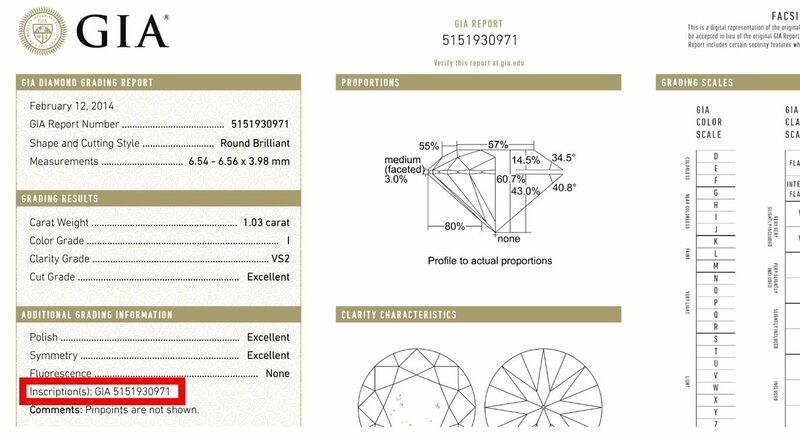 Having the grading number inscribed on the diamond will save you the costs of having to go to an appraiser to confirm that the diamond in question is the one on the grading report. This becomes particularly important if you – for whatever reason – would want to sell the diamond! Sure, good online vendors will let you have a close look at your diamond from all angles before you buy it. This way, the risk of you not liking the stone and returning it is greatly reduced. But still, you might want to return the diamond for some reason, and of course, you don’t want to bear the shipping costs. This is why you should check the return policy of the place you intend to buy the diamond. 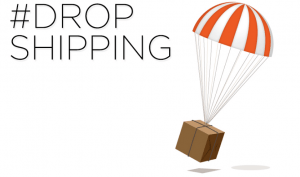 Many online vendors offer a 30-day or 15-day “money back guarantee” but hardly offer free return shipping. One of the reasons why James Allen is the leading online diamond stores today is because of their free return shipping (within the US). Visit James Allen's conditions for purchase to know more! So, Should You Buy Diamonds Online? If you look up all the essential details in advance, it's a hundred percent safe to shop for diamonds online. Nonetheless, you should do your homework! Not only on the diamond vendors but also about diamond education in general. Because the more you know about diamonds, the more likely you are to make a good deal and thus, the safer your entire diamond journey will be! Should you have any more questions, just drop me a mail or leave a comment down below! Hi! I’m trying to find a ethically sourced ring for my wedding in 14k gold with either just one round tiny diamond or a wedding band with tiny diamonds. I have found the company Vrai & Oro and the small company Aili. I also found a nice eternal twist at Blue Nile. The rings you’ve found are all beautiful. Although, I’m not familiar with Vrai & Oro and Aili. 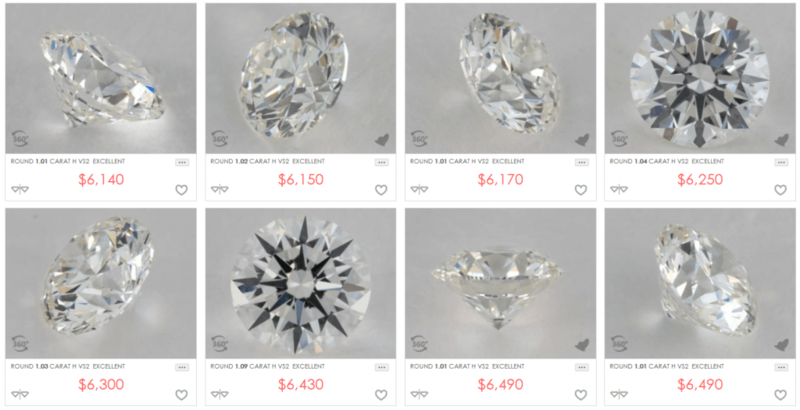 Here are my recommended online diamond stores for their quality, affordability, and reputation if you want to keep on looking. 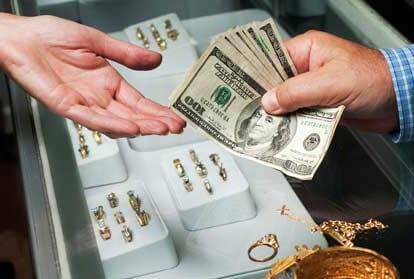 Planning to buy diamond from blue Nile? What are your thoughts .looking for big rock. Also not sure if it is right to ask this question but since it is in a similar line any ideas where to buy gold bars without getting cheated? Thanks for sharing information to know whether buying diamond online is safe or not. It’s quite essential to know everything about the diamond vender befor buying loose diamonds. GIA certification of the diamonds is must before buying diamond online. 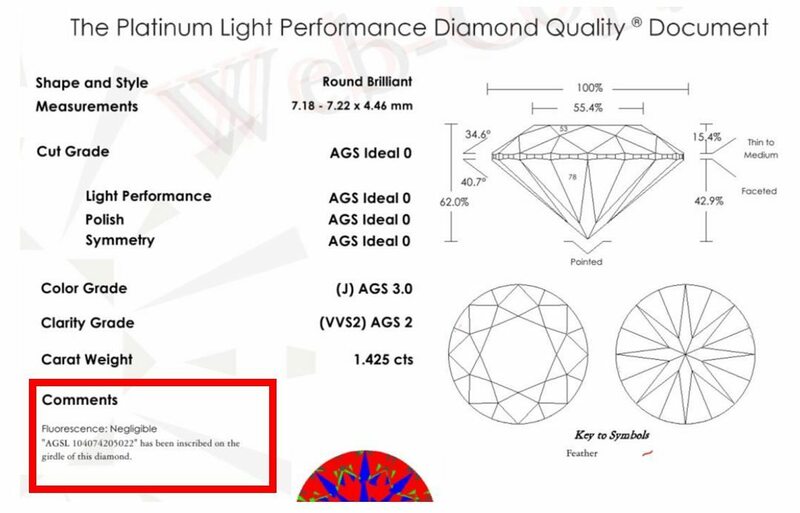 The GIA Report for Diamond 5181280990 says it has better depth and table proportions compared to Diamond 1243751760. Thus, I would choose the second one. But I would also advise seeing the diamond’s magnified imagery or viewing it under a loupe to make sure it’s eye clean. I recently bought a stone from whiteflash.com. From your experience and knowledge for whiteflash, is it necessary to send the stone to local independent appraiser for a double inspection? Since Whiteflash is a very reputable company in the business line, will it be a blind buy from them without own independent inspection? Looking at diamondstore.co.uk for a engagement ring, would you recommend this site? Unfortunately, I don’t have any experience with that seller. They could be okay for smaller purchases, but for larger purchases like an engagement ring, I would prefer to go to sellers like Brian Gavin and Whiteflash where I can pick the diamond on my own. Or a shop where I can see the diamonds in magnified HD videos like James Allen. Thanks for this article. It helped me a lot! thanks for the feedback! I am glad to hear you liked my post! Where is the Best Place to Buy Engagement Rings in 2018? Brilliant Earth Review – Conflict Free Jewelry Plus More!